Gemini Wars is an real-time strategy game that focuses on the conflicts created when future societies take to space to create new foundations. Everyone working together happily wouldn't make a compelling game to play, so of course the future military groups found themselves in battle with one another. 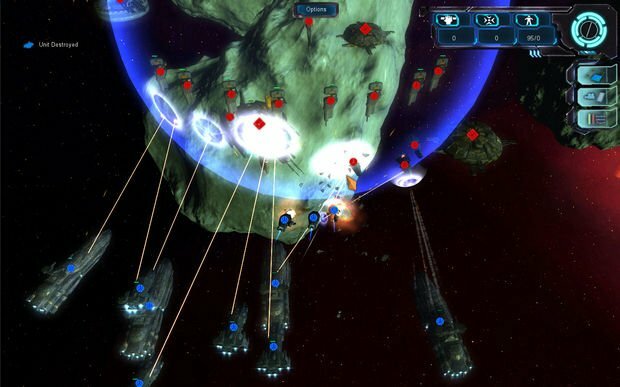 The game takes place across systems in space and contain plenty of tutorial elements to aid you in battle. To be successful, you'll have to take into account the condition of your ships, as well as the parts and type of ships you wish to utilize. 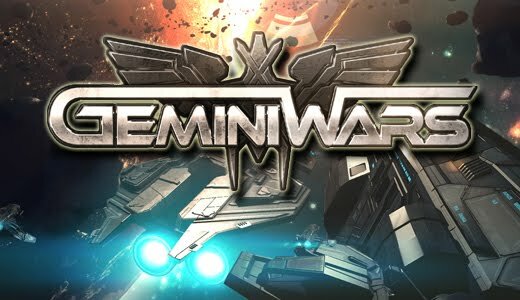 Resource gathering is always important in RTS games, and Gemini Wars is no different. You'll sometimes gain resources from allies utilizing hyper-drive to get to you, or manually gathering and searching areas yourself. Combat in the game is pretty neat. The ships and other elements are pretty small though, so you'll need to zoom in a bit more than other titles. Aside from building up areas to aid you in battle, you'll also be given various tasks like protecting convoys and destroying specific items. The presentation is decent for the price, although the character models we're a bit off for me. Sound in the game is well done, with plenty of effects that feel sci-fi while still being original. 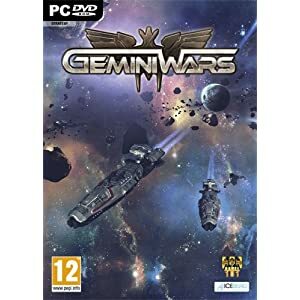 I don't play these types of games too often, and for a small budget title, Gemini Wars is worth taking a look at, although I wish there were more configuration options available. "Decades have passed since war erupted between the United Space Federation and the Alliance of Free Worlds. A bloody conflict that seemed to have reached a stalemate is now about to change, when a third faction suddenly appears. Take control of a fleet commander returned from exile, rise through the ranks of the United Space Federation forces and join an epic war across the stars."